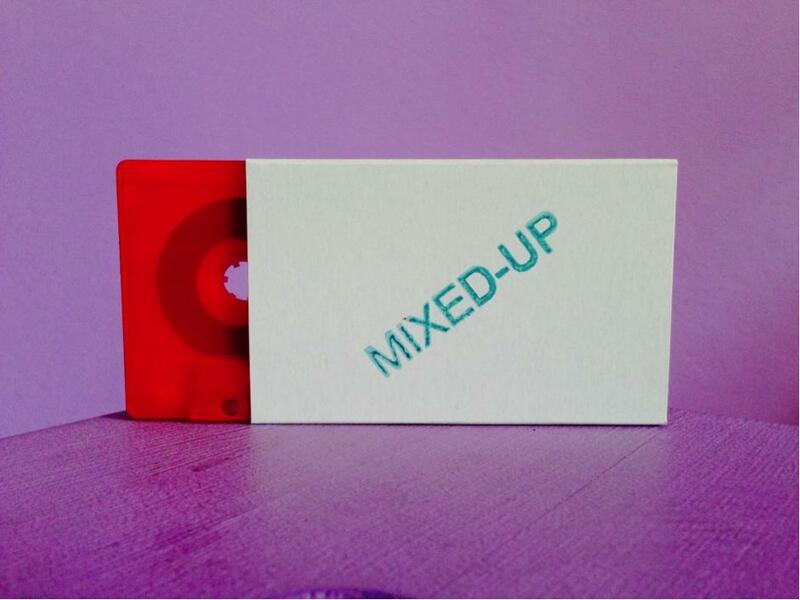 Mixed Up – named after the scathing proto-industrial, punk-afterbirth debut of Cabaret Voltaire - is an admittedly minor operation, still in the inceptive stages of its record label lifespan. Mixed Up – named after the scathing proto-industrial, punk-afterbirth debut of Cabaret Voltaire - is an admittedly minor operation, still in the inceptive stages of its record label lifespan. But for its relative infancy, there’s a quiet coherency to the records it’s so far put out into the world, from the haunted noise croaks of Maitland Help to the esoteric flotation chamber new age of Dan McGirr. More recent coups have conveyed an ever bourgeoning confidence in its curation, with the degraded poignancy of Michel Isorinne on two essential tape releases (who’s also one half of D.Å.R.F.D.H.S., with Jonas Rönnberg aka Northern Electronics stalwart Varg) and the smeared and screwed lo-fi wave music of Leonardo Martelli (affiliate of French label Antinote) establishing a steady draw for talent, both native and further afield. Run by Danilo Betti who also records cavernous and stern industrial ambience as April Clocks, the label is just one wing of a broader venture encapsulating a record store and mail order outlet. It’s run from Betti’s hometown Rimini and judged by the reflections he offers on the scene and the history of his birthplace, it’s a labour of love which is all too rarely endeavoured upon in the climes of the ‘Adriatic Riviera’, which might explain his own brave decision to start it all. It’s that DIY compulsion – no one else was doing it so I had to – that has led to the formation of Mixed Up and where it is today, a desire we can all identify with, celebrate and support (if you’re less keen to do so, you’re in the wrong place). 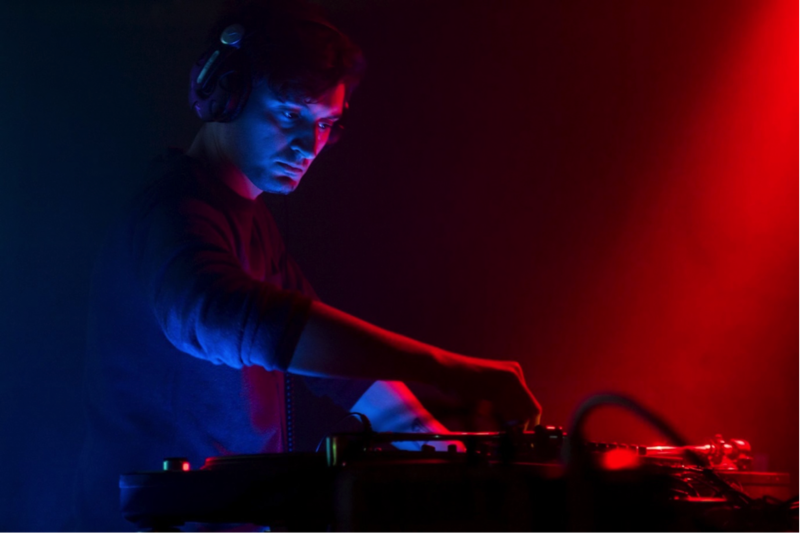 With artists like Lorenzo Senni and Not Waving encouraging a multifarious but unique Italian scene to develop, it seems an opportune time to lift the lid on an underreported but increasingly significant region of Italy with a label and store which has a firm but open minded idea of the records it loves, both past and present. So the MIXED-UP label and record store has been going since late 2014, what were your motivations for setting it up? Well, both label and record store were conceived November of that year, but it all started a little earlier with a short-lived but quite successful mail-order operation, where I had the opportunities to speak with some cool labels, send tapes over the world and collect further ideas about what I wanted to do. As for the name, it was the natural result of my obsession for Chicago house and Sheffield’s Warp era. What kind of effect has Rimini had on the direction of the label? I think in the beginning it was more of an escape from my everyday routine than a “real plan”, so I guess my disappointment in Rimini and its surroundings had a kind of negative but powerful influence on the label’s inception. 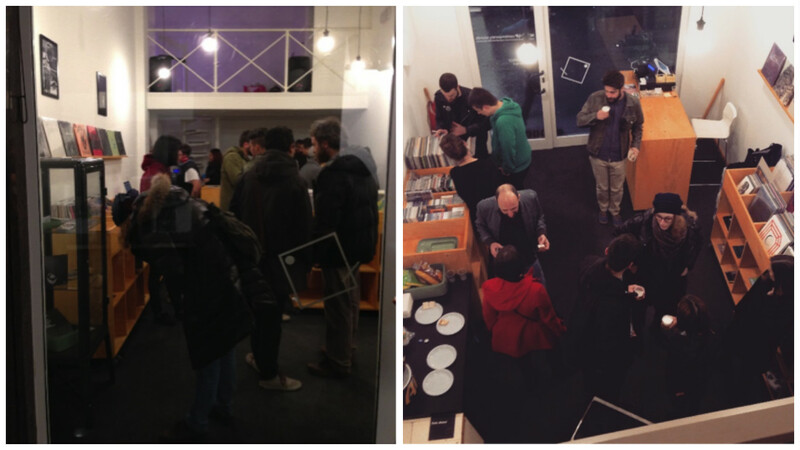 However, things changed quite a lot since the shop opened as new people popped in and got in touch and shared thoughts, projects, records. So, I think there’s something growing apparently. Slow but steady. Do you think there’s a discernible sound that can be attributed to the music that’s come out of Rimini, both past and present…? That’s a hard question: at this stage we’re still trying to recover from the mid-2000 invasion of minimal techno and EDM in our clubs (as many others in Italy too…) and there’s really nothing so big to be called a “scene” here in the Adriatic Riviera yet. But of course there’s a hidden heritage, I mean the early ’90 house thing, which has been forgot by many and it’s unknown to the younger generation. That’s a subject I care a lot about and the main focus behind all I do with MIXED-UP as record store especially. For the label it’s a little different instead, as I have a different approach when it comes to release stuff from other artists. Rimini had quite a central role during the heyday of Italo Disco, can you describe your own relation to that history? What kind of legacy has it had on the city? Having grown up in Rimini, what was it like as a place for discovering music and finding a scene or community around record stores and concerts…? How does it contrast with the rest of Italy in that respect? If I have to pick up my favourite club I can’t go wrong saying that Cocoricò in Riccione (in the south of Rimini, where I live with my family) has been pretty fundamental in my early youth: first time I walked in was around 1999 without my parents’ permission and was pretty loaded off strange drugs. Back then I wasn’t really interested in techno, was just another place to stay with friends and feel older than my age. People like Aphex Twin, Lory D, Carl Craig, everyone who matters and many many others were there playing over the years. Also I had various friends working there so it was easy to get a free entry and free drinks…Good times. Funnily enough I made my very first “public” dj set there last April in my favorite, smallest and blackest room called Morphine (the main one is the infamous Piramide and the other “housey” one is called Titilla). It’s a wonderful club, hope to have the chance to play there again. There’s other good clubs doing great things near Rimini: i would say Harmonized in Porto Sant’Elpidio and Club Adriatico in Ravenna they both have a good balance between new artists and veterans. I still prefer a well curated club schedule than a recycled festival lineup. Record stores, oh. No record store selling proper electronic/house/techno or whatever around so I did it myself. What’s that sense of community like now? You’ve mentioned a ‘micro-system’…? How does that feed into your own activities? My first appearance as a deejay (as reported above, at Cocoricò) has been possible thanks to my friends at MOHO. They are a young but strong group working on an “occasional themed” series of events in various locations and clubs: they invited people like Lorenzo Senni, Leonardo Martelli and Rawmance along our local friends Nuel and Simbiosi and many others. Deejaying for them helps me explain what i’m doing as label and a store. And of course there are collaborations and records in the works from some of them for the label. Yeah i would still call it a “micro-system”, but i’m really happy with how things are shaping up. Then there’s Remote Neighbourhood with the Music Market Fair: last summer we joined them for the second edition on a famous pub located on the port of Rimini. What are some of your favoured haunts in Rimini? I have to say that between record store, raising a daughter, walking one hour per day with my dog and other commitments, free time has become a mirage. But unlike many other big citie here in Rimini you can slow down more easily than elsewhere. Being 500 meters to the sea always gave me the impression I can run away from things, at least for a couple of hours. Yeah I may find myself in this category, quite sure. But i’m not searching for demos and the first handful of releases was kind of commissioned deals, just been lucky to have Michel and Leonardo involved (along Dan McGirr and the Loudtone duo whose tapes gone a little under the radar). At this stage i simply can’t manage more than 5/6 releases per year as i’m a little too concerned on the record store. And i’m not really trying to inhabit any world too: i’m just doing my best to put out some decent recordings who may deserves attention, at least in my opinion. What was it like growing up in Rimini more generally? I’ve been lucky getting the chance to travel quite a bit during the last 10 years, and living for a while outside your birthplace gives you a better understanding of what you’re leaving behind. 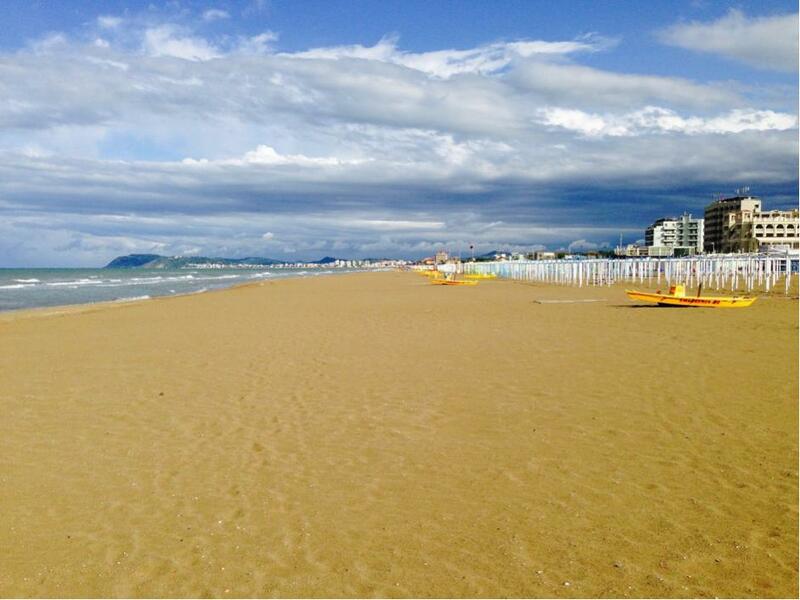 At the end I missed Rimini more than I hated it back in adolescence. Again, must be the sea, for sure. How would you describe the Rimini character in comparison with other parts of Italy? Sea is always a great escape from everything, and I just can think myself or my family living in other places here in Italy in this moment of my life. Got friends quite everywhere but I wouldn’t really change it, with all the due respect. What heralded your interest in house music from the Riviera? Was there a particular record or experience that you recall? One record. Well, a double compilation from Soul Jazz Records called “Can You Jack”, published around 2005 I think. I found Rimini in the sheet notes between Paris and New York and some cool promo picture of Roland drum machines. That was the deal. Follow Mixed Up on Facebook HERE.